With all of the wonderful holiday gifts and toys your little one is hoping to receive this year, what could be a better addition to our holiday gift guide than a toy chest?! 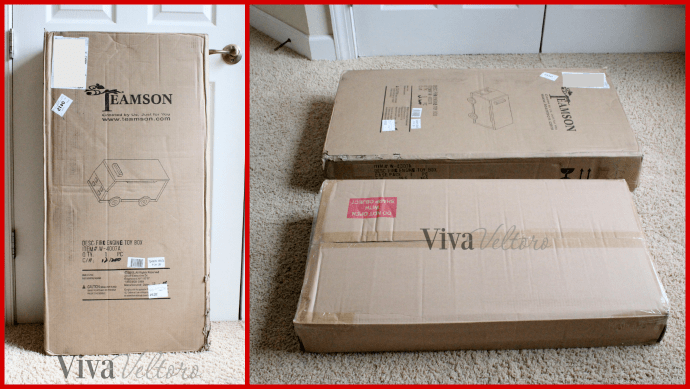 I'd been searching for a toy storage solution for months when Teamson contacted me about reviewing one of their products. I hadn't heard of Teamson before, but upon visiting their website I saw some of the cutest child's furnishing I'd ever seen. I eagerly replied with a yes! Since 1997, Teamson Design Corp. has been designing and creating beautiful children's furniture and toys. Based in Edgewood, New York, Teamson is renowned for their high standards and quality. They take great pride in the unique integrity of the pieces they create. All of Teamson's creations are hand painted by their team of talented artists, so no two are exactly alike. The quality of craftsmanship is among the very finest, and they closely supervise the manufacturing process in their own factories. I chose the Fire Engine Trunk on Wheels (and it was sent to me at no cost to facilitate this post). It arrived safe and sound thanks to the careful packaging done by Teamson. You can see in the photo above, the toy chest was double packaged so it would be in perfect condition upon opening. 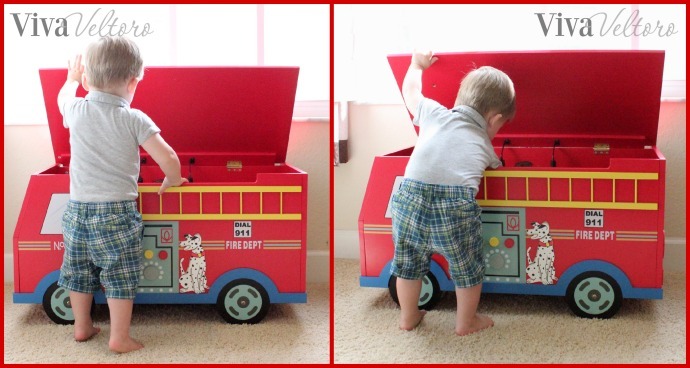 The Teamson Fire Trunk on Wheels toy chest comes with several pieces and hardware and assembly is required. All we really needed were the directions (which were very clear and easy to follow) and a few screwdrivers. You can see in the photos above that our little guy was eager to help daddy with the assembly. We had this toy chest put together within 20 minutes and it was really very easy. Simply put, this toy chest is adorable! While we were putting it together, my husband and I both noted that the materials were all very high quality and the painting was superb. You can see in the photo above that the hinges allow for the lid to remain slightly open, or to close softly. There is a wonderful cut-out right under the lid so your child won't hurt their tiny fingers when closing the lid. The size of this toy chest is just perfect. It measures 32.88'' H x 20'' W x 17.75'' D and stores a great number of toys. You can't see this in the photos, but there are small wheels underneath the toy chest so you can easily move it around. My little one was fascinated with this toy box and spent close to an hour loading and unloading his toys. At 32 inches tall he can easily reach in and grab his toys as he pleases. The vibrant colors and whimsical design really grab his attention and keep him very busy! Overall, I absolutely adore the design of this toy chest and that it's handmade, hand painted, and so unique! I also appreciate that it's safe, sturdy, and made with ec0-friendly wood and lead free paints that are CPSIA compliant. This toy chest is a wonderful addition to our sons room and I couldn't be happier with it! 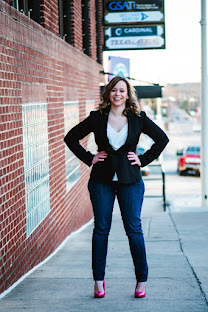 Connect: You can connect with Teamson on Facebook and follow them on Twitter and Pinterest. Buy it: You can purchase Teamson items at several retailers, including Target and many others. Just use their store locator. 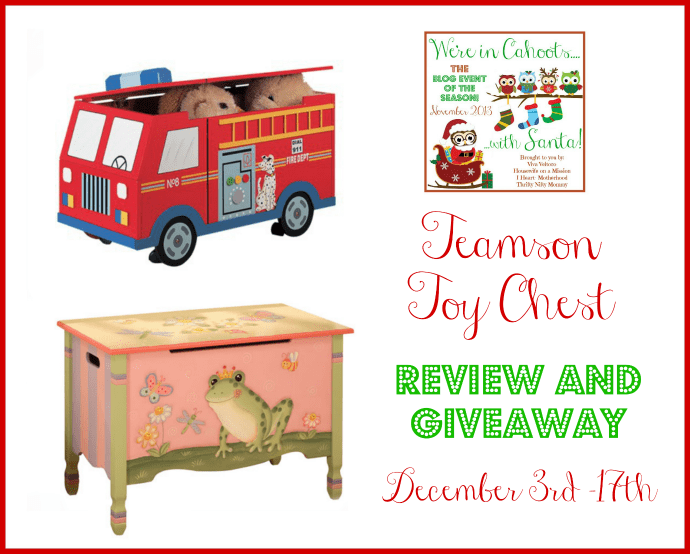 Teamson wants to give one lucky reader a toy chest too (valued at $164 )! 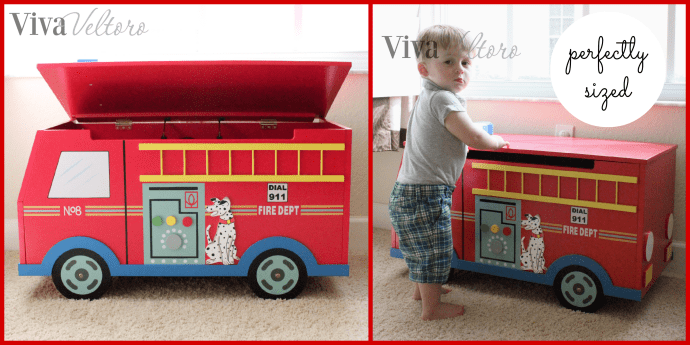 You can choose between the Fire Truck on Wheels or the Magical Garden Toy Chest! Open to the US only, ages 18 and up. Ends 12/17/13 at 11:59 PM EST. Enter using the Giveaway Tools form below. Good Luck! Disclosure: Ruth received the toy chest at no cost to facilitate her review. I did not receive compensation for hosting this giveaway and am not responsible for prize fulfillment. I would love anything from Dinosaur Kingdom. I liked the Sunny Safari Wall Clock! I love the Under the Sea Bookshelf! It is precious!! I love the Magic Garden Set of 2 Chairs!! I love the Dinosaur Kingdom table an chairs set! My sons would love the Dino Kingdom Table set. The Deluxe Faux Granite PLay Kitchen! I like the Alphabet table lamp. It is so cute. I like the Aphalabet table lamp. It is so cute. I like the Transportation Bookshelf so cute!! I really like the Fire Truck toy chest. The enchanted forest kitchen collection.